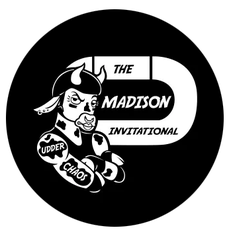 Madison Roller Derby is proud to be hosting the 2nd Annual Udder Chaos, an invitational roller derby tournament, right here in Madison! Fans can enjoy THREE DAYS of roller derby at the Hartmeyer Ice Arena (AKA The Barn) with teams from across the country and cheer on the Dairyland Dolls A and B teams as they take on some of the nation’s toughest competition! You won’t want to miss out on the action!